An intense look at crankshaft stroke and its affect on mean piston speed, inertia, and controlling the massive, destructive forces at work inside an engine. Engine builders have long calculated the mean piston speed of their engines to help identify a possible power loss and risky RPM limits. This math exercise has been especially important when increasing total displacement with a stroker crankshaft, because the mean piston speed will increase when compared to the standard stroke running at the same RPM. But what if there was another engine dynamic that could give builders a better insight into the durability of the reciprocating assembly? The video above shows two engines, one with a short stroke crankshaft, and the other with a considerably longer stroke. Note that both pistons reach top dead center and bottom dead center at the same time, but the piston in the longer stroke engine (left) has to move significantly faster. “Rather than focus on mean piston speed, look at the effect of inertia force on the piston,” suggests Dave Fussner, head of research and development at K1 Technologies. There’s a simpler formula, but more on the math later. A piston’s velocity constantly changes as it moves from top dead center (TDC) to bottom dead center (BDC) and back to TDC during one revolution of the crankshaft. At TDC and BDC, the speed is 0 fpm, and at some point during both the downstroke and upstroke it will accelerate to a maximum velocity before decelerating and returning to 0 fpm. As the piston races from bottom dead center to top dead center, for a brief moment, it comes to a complete stop. This places tremendous stress on the wrist pins. Shown, these Trend pins are offered in various wall thicknesses to deal with the required load. There are formulas to calculate the piston speed at every degree of crankshaft rotation, but that’s usually much more information than needed by most engine builders. Traditionally they look at the average or mean piston speed during the crank rotation, and they possibly will calculate the maximum piston speed. The mean piston speed takes the total distance the piston travels during one complete crankshaft revolution and multiplies that by the engine RPM. Piston speed obviously increases as the RPM increase, and piston speed also increases as the stroke increases. Let’s look at a quick example. You can simplify the formula with a little math trick. Divide the numerator and denominator in this equation by 2, and you’ll get the same answer. In other words, multiply the stroke by the RPM, then divide by 6. With this simpler formula, we’ll calculate the mean piston speed with the stroke increased to 4.500 inch. As you can see, the mean piston speed increased nearly 13 percent even though the RPM didn’t change. Reducing piston weight plays a huge role in creating a rotating assembly that can sustain high rpm. The seemingly insignificant gram weight of a piston is magnified exponentially with rpm. 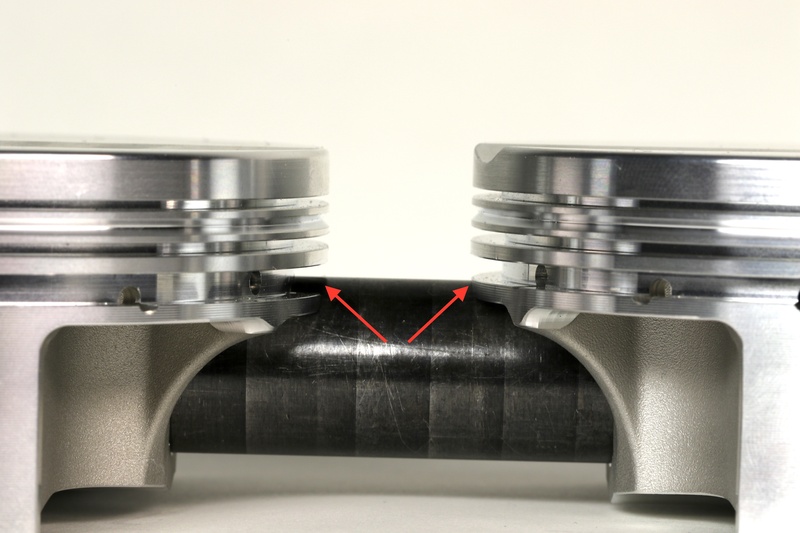 By converting feet per minute to miles per hour (1 fpm = 0.011364 mph), this piston goes from 0 to 87 mph in about two inches, then and back to zero within the remaining space of a 4.5-inch deep cylinder. Now consider that a BBC piston weighs about 1.3 pounds, and you can get an idea of the tremendous forces placed on the crankshaft, connecting rod and wrist pin—which is why Fussner suggests looking at the inertia force. 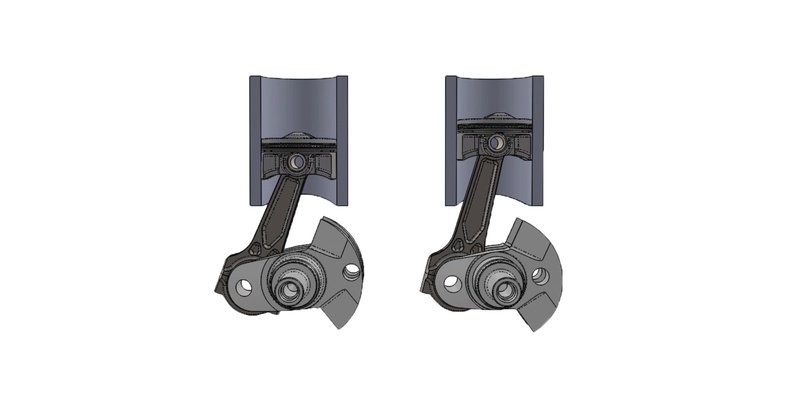 When the connecting rod is lengthened, it provides a softer transition as the piston changes direction. 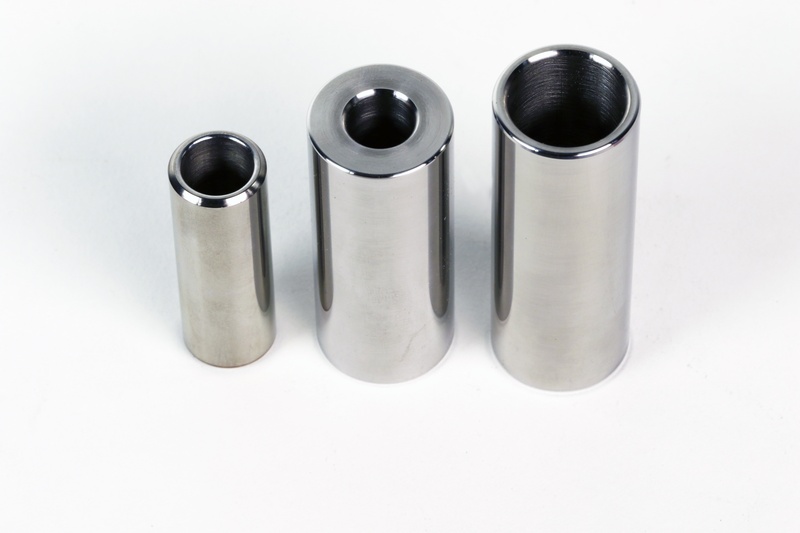 The longer connecting rod also reduces the compression height of the piston and can help pull weight out of the rotating assembly. The force of inertia is a function of mass times acceleration, and the magnitude of these forces increases as the square of the engine speed. In other words, if you double the engine speed from 3,000 to 6,000 rpm, the forces acting on the piston don’t double—they quadruple. Due to rod angularity—which is affected by connecting rod length and engine stroke—the piston doesn’t reach its maximum upward or downward velocity until about 76 degrees before and after TDC with the exact positions depending on the rod-length-to-stroke ratio,” says Fussner. Stroker cranks such as this forged LS7 piece from K1 Technologies, are a great way to add displacement. However, when the stroke is lengthened the piston must accelerate faster each revolution to cover the larger swept area of the cylinder wall. With some additional math using the rod length and stroke, a correction factor can be obtained to improve the accuracy of the inertia force results. For this example, the radius is half the crankshaft stroke (1.5 inch) divided by a rod length of 6.000 inches for a factor of .25 or 383 pounds (1,534 x 0.25 = 383). This factor is added to the original inertia force for the upward stroke and subtracted on the downward movement. Both the crank on the left and right are at the same point in their respective rotations. However, the piston on the left will have to travel much faster to reach top dead center at the same time as the piston on the right. By the way, the mean piston speed for this 1-cylinder engine at 6,000 rpm is 3,000 fpm, and the maximum piston speed (using our previous formula) is 4,712 fpm. What happens when you increase the stroke from 3.000 inch to 3.250-inch? First, the mean piston speed increases to 3,250 fpm, and the maximum piston speed jumps to 5,105 fpm. Then the primary force increases from 1,534 pounds to 1,661 pounds. There’s also a change when adding in a new R/L factor of .27 (1.625 ÷ 6.000). The actual upward force at TDC becomes 2,109 pounds and the actual downward force at BDC becomes 1,213 pounds. Now consider the effects of a lighter piston. Keeping the 3.20-inch stroke and 7,000 rpm but going to a piston that weighs 340 grams (.750-pound), the maximum force is reduced from 2,871 pounds to 2,154 pounds, or 717 pounds of less force. This same lighter piston configuration would have a force of 1,238 pounds required to stop and restart the piston at BDC, a reduction of 413 pounds. As the piston reaches top dead center on the exhaust stroke, their is no cushion of compression to help slow it down. Instead, the connecting rod takes the full brunt of the force which pulls on its beam and tries to separate its cap. Mean and maximum piston speeds are still valuable calculations for any engine builder making a change to a proven formula. Exceeding 5,000 fpm in mean piston speed should get your attention and prompt rethinking on parts selection. Excessive piston speed can lead to inconsistent lubrication of the cylinder wall, and in some situations the piston will actually accelerate faster than the flame front during combustion. While the former can cause parts failure, the latter is lost horsepower. 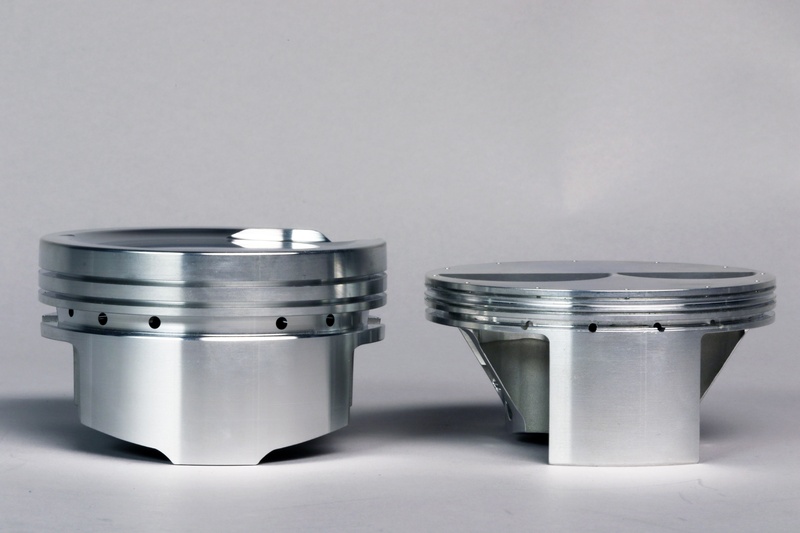 And the pistons should also be the lightest possible without sacrificing the required strength and durability. 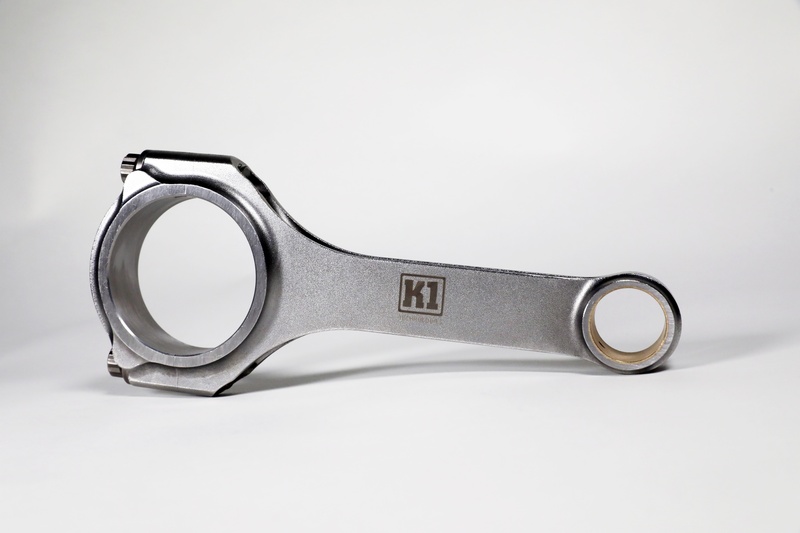 The inertia forces will stretch connecting rods and resist crankshaft acceleration—again potentially leading to parts failure and choking horsepower. A final note on piston speed—, 2,500 fpm was considered the upper limit for piston speed not too long ago. 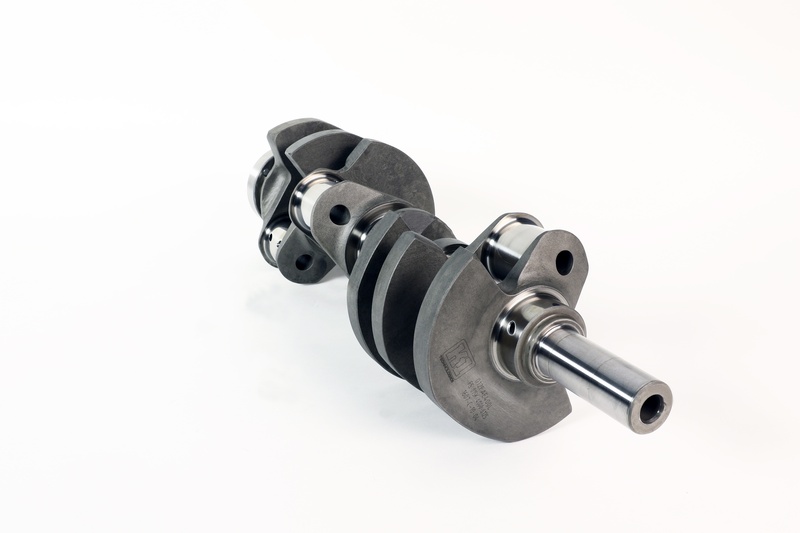 It is important to consider that mean piston speed is also used as guide for considering other engine components, such as connecting rods and crankshafts. In the early days of hot rodding, most engines had cast iron cranks and rods and cast aluminum pistons, which are not nearly as strong as engine parts today.